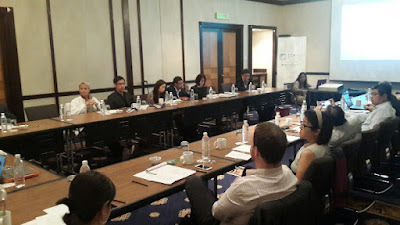 After the 4th Asia Liberty Forum (ALF) ended in Kuala Lumpur on February 20, SEANET organized a small group discussion on "business friendly regulations", same hotel venue. I was one of those invited. Below, Wan Saiful Wan Jan, CEO of IDEAS and Director of SEANET, spoke to explain once again what the meeting-seminar was all about. 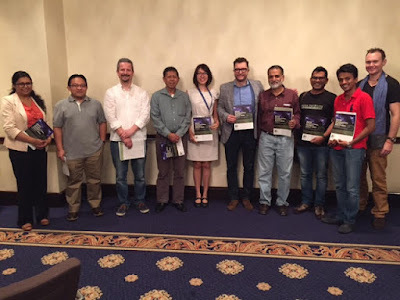 Aside from independent think tank leaders from some ASEAN countries, some friends outside the region were also there, like Barun Mitra, Cris Lingle, Julian Morris, Lorenzo Montanari. I gave a brief presentation. Brief as in 8 minutes or less. 12. Promote the hegemony of corporations, neoliberal regimes and political and economic dominance of the US and other powerful States over the developing and underdeveloped economies of the world. Among the prominent arguments why people hate the TPP and other FTAs with the US and EU is that stronger IPR protection would mean more expensive medicines, affecting even off-patent, generic drugs. Is this true? No. 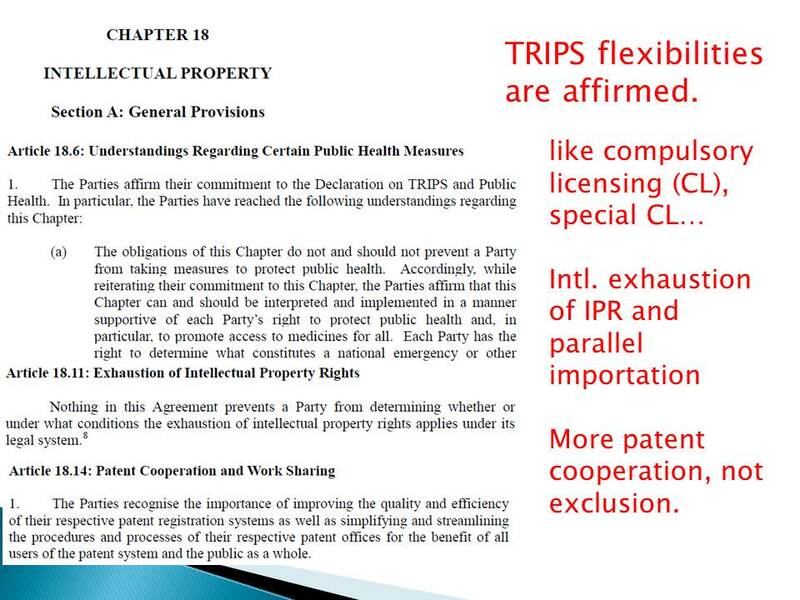 Perhaps all TRIPS flexibilities with regards to newly-invented medicines were respected by the TPPA. Like these texts, the red comments on the right are mine. Then I added another aspect of IPR infringement, the abolition of trademarks and brand logo for cigarettes. 2. 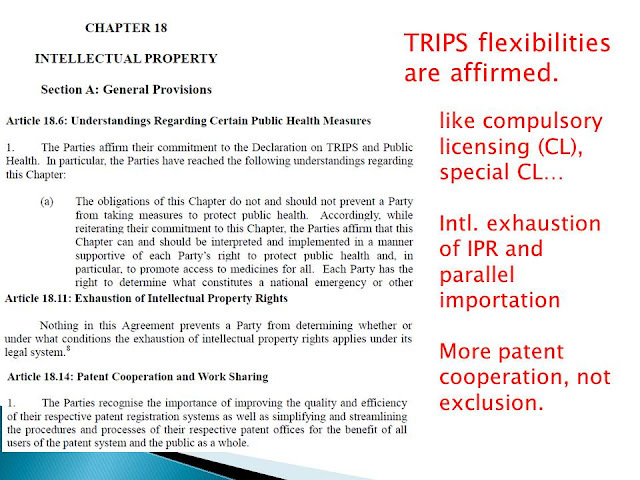 IPR health provisions in TPP not scary, apply only to newly-invented medicines and not to cheaper generic drugs. Existing TRIPS flexibilities for new meds are maintained. 3. Possible that generic pharma lobby + anti-capitalism, anti-globalization NGOs created more fear than what the TPPA actually provides. 4. More to fear in government taxation of medicines, mandatory drug price discounts and price controls, than IPR protection. Brief presentation, I think I spoke for only 7-8 minutes, then the others gave their own inputs and insights on other topics. The full 14-slides presentation is available in slideshare. Meanwhile, the debate seems raging in Malaysia now regarding their government's plan to introduce plain packaging in tobacco products too. All these news reported since last week. 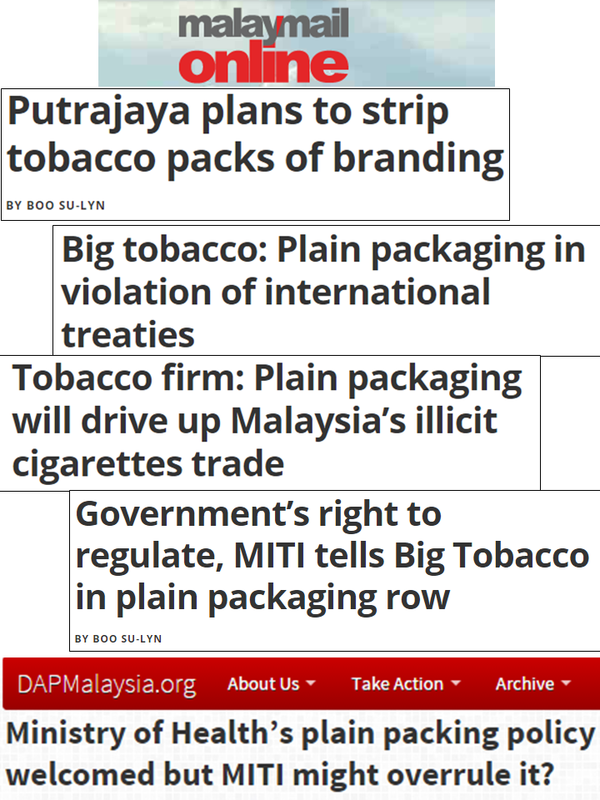 It's now a Singapore-Indonesia-Malaysia triumvirate of tobacco plain packaging legislation. Soon it will infect the governments and stakeholders in the Philippines, Thailand, Vietnam, etc. And if they succeed, next would be beer, whiskey, other alcohol products? Then chocolate bars, soda and cola. The WHO should be involved in this new government initiatives. I will follow this development. "The curious task of economics is to demonstrate to men how little they really know about what they imagine they can design.” -- Friedrich Hayek. One of the characteristics of centrally planned economies like China is that officials and planners centralize many resources, which creates centralized expectations from the people, and since planners’ egos cannot really plan and control all factors, this often results in centralized economic dislocation, disappointment, and anger. Take the case of China’s debt. 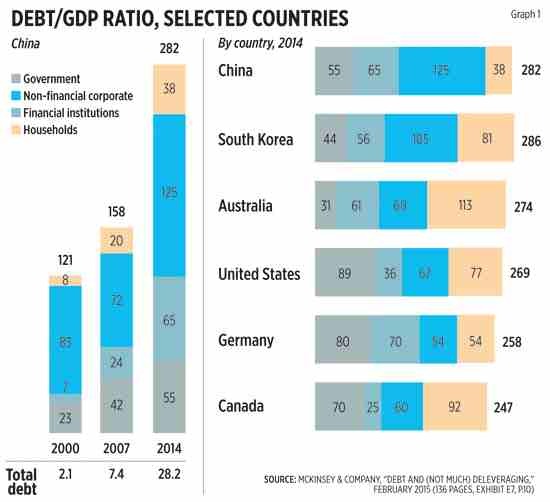 Officially, China has a gross public debt/gross domestic product (GDP) ratio of only 41% in 2014, manageable and just slightly higher than the debt/GDP ratio of Taiwan and South Korea (38% and 36%, respectively). But China has more debt that what it will officially admit. High debt, private and public, will always create financial turmoil, today or tomorrow. Especially in a dictatorship that abhors political competition and yet wants to mimic economies that allow market and political competition. In his presentation, Carmelo Ferlito noted that from 2003-2008, China’s total debt was stable to declining at 170% of GDP, then by 2009, it exploded and kept rising. He further noted that “a lot of this debt is sitting in local governments or state-owned enterprises. There is assumption that government can let its “zombie” entities stumble on as debt-paying vehicles or maybe occasionally let a couple default without any systemic contagion. With the continuing financial turmoil in China that started last year, there are lessons to be explored for emerging economies in the region like the Philippines. 1. Fiscal and household irresponsibility will snap. As public and private debts become bigger, economic uncertainty will also rise as those debts should be repaid. People will never know who can pay back and when, and who will default. 2. Moral hazards. A central planning government tends to attract less-studied behavior by the public. As a result, people with low financial literacy may be encouraged to gamble their savings at the stock market, thinking that the government will bail out anyway. 3. Central planning leads to central disappointment. Central planning cannot and will not cure and control everything, including stock prices, booms and busts, debt spirals, and inflation. Central planning can only postpone small busts until these become bigger and burst. Authoritarianism can never be compatible with free markets. The great Nobel prize economist and political philosopher, Friedrich Hayek, has some words to say about central planners. It is important that economists and planners outside communist China should heed them. 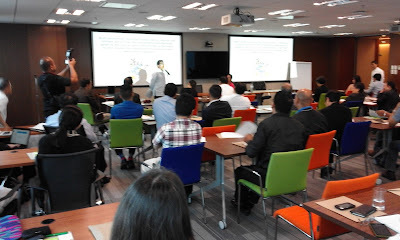 Yesterday, I attended a forum on "Making Renewable Energy a Vehicle for Sustained Inclusive Growth” held at the International Finance Corporation (IFC, part of the WB Group), Bonifacio Global City, Taguig. The event was organized by the UPLB-CEMAFI. My friend Ozone who is a UPLB Economics alumni tagged me along. They keynote speaker was Sen. Loren Legarda, a known environmentalist. She gave a litany of the threats of man-made climate change, the evils of coal power and the hosanna of renewables. 1. Demonizing coal power and glamorizing wind, solar, other new renewables to replace coal is unrealistic. At the Meralco generation charge latest data, from wind-solar is zero, about 5% from WESM, the balance of around 95 % is from nat gas, coal, diesel power plants. At the DOE data as of the1st half 2015 in Luzon grid, about 51% of actual electricity production is from coal, only 1% from wind-solar-biomass, the rest are from nat gas, big hydro, geothermal. 2. So if we follow your advice of glamorizing wind-solar, there will be massive brownouts in the country. This building housing the IFC, WB offices will be running on noisy gensets running on diesel; there will be more road accidents at night, more crimes at night, as there will be little or no street lights; more fires as more people will use candles. So the social cost of displacing coal with intermittent renewables is very high. 3. Subsidies given to wind, solar, will make our "2nd most expensive electricity in Asia" become even more expensive because of feed in tariff (FIT) and renewable portfolio standards (RPS). 4. Climate change is natural and cyclical, warming-cooling-warming-cooling for the past 4.6 billion years. She replied that she's not advocating the total banning of coal, only to reduce its share in the country's energy mix while raising the share of wind-solar-other renewables. She asked again my institute, I said Minimal Government Thinkers, an independent, non-govt think tank. She also asked where I got the data on climate change as cyclical, I said there are plenty of paleo-climate data available online free, one can choose whether the past 1,000 years, past 100,000 years, past 10 M years, 4.6 B years. They all show warming-cooling cycle. She defended her position of course. I did not make follow up comments or questions because (a) she's the lady of the hour, she's the keynote speaker, and (b) it was not my intention to "win" a debate, only to speak my position in a public forum so others can hear the contrary views. The Moderator was Atty. Jose Layug Jr., former DOE Undersecretary and now a Senior Partner, Puno Law Office. 4. Dr. Bernardo Tadeo, President and CEO, Full Advantage, a biomass company. The three gentlemen from the private sector shared their experiences in dealing with the various government bureaucracies like the National Commission on Indigenous People (NCIP), Department of Agrarian Reform (DAR), Department of Environment and Natural Resources (DENR), local government units (LGUs), etc. Simply put, it is costly, time-consuming and complicated to deal with them. I briefly commented during the open forum that while the private players may be shy to recognize it, but such kind of bureaucratism by different agencies is somehow a legalized extortion. No one moves, no one starts a business, unless they get the signatures and permits of those regulators and agency officials. Hence, they must deal with the long paper work including the idiosyncracies of some or many of these officials. 6. Mr. Yongbin Chen, Director, EQUIS. It owns many solar projects in Asia including the 132 MW solar plant in my hometown, Cadiz City, Negros Occidental. 1. RE developers, their banks and financing institutions, should play down or not be proud of their power plants getting FIT. FIT allowance collected from all electricity consumers nationwide including those in Mindanao was P0.04+ (4 centavos) per kWh last year, and as mentioned by Atty. Layug, can rise to P0.17 to P0.21/kWh this year as more renewables are fed into the grid. 2. In Germany, when FIT was introduced in 2001 or earlier, the amount was 2% of the average monthly residential electricity bill. By 2014, FIT comprised around 22% of the average monthly electricity bill of residents, it just kept rising. 3. So whether we are talking of FIT in UK or Germany or the Philippines, FIT means expensive electricity and many people dislike or hate expensive electricity. So RE developers and their financiers should aspire for more innovation so that they can attain grid parity and survive even without FIT because RPS and "must dispatch" policy is already a big favor for them. Being the only skeptic of the "hosannas of renewables" in a conference room is not exactly easy, but I think many people in the audience, even among the speakers, recognize the limits and dangers of expensive electricity from intermittent and unstable RE sources. People want power stability, dispatchable upon demand and at the same time is affordable. If a power plant is designed for 200 MW, it should be capable of producing 200 MW running 24/7. With intermittent power, things are unstable, unpredictable, non-dispatchable, costs are high. In 2014, coal consumption of the following countries: US 434 million tons oil equivalent (mtoe); Germany 77.4 mtoe; Japan 126.5; S. Korea 84.8; Taiwan 40.9; Thailand 18.4; Philippines only 11.7 mtoe. Are the health, environment situation in the US, Germany, Japan, S. Korea, etc. worse than in the PH because they have much much bigger coal consumption than us? No. In the Philippines, the biggest coal plants are in Batangas, Quezon, (western) Pangasinan and Zambales. I don't think that the health and environment situation there is much worse than those in Tarlac or Bulacan, M.Manila or Laguna. Other people say that real effects of coal is global, not provincial or national. Yes, the global effect of coal is worldwide... prosperity. Energy is development. That is why even supposedly "green" countries like the US, Germany and Japan have high use and consumption of coal until now. If we are forced, arm-twisted to rely only on wind-solar-biomass-ROR hydro, we will be very dark at night and economically poorer than N. Korea or Zimbabwe. 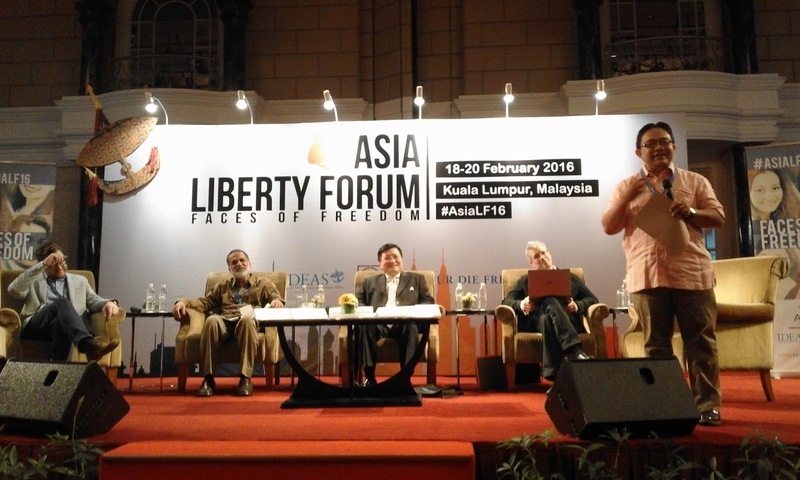 The 4th Asia Liberty Forum 2016, #AsiaLF16, has successfully ended in Kuala Lumpur last Saturday night. Among the important panel discussions was the one on “Protecting Yourself Against Daylight Robbery -- Current Challenges to Property Rights”. Photo below, holding the microphone is Wan Saiful Wan Jan, CEO of IDEAS Malaysia, who chaired the discussion. The speakers from left: (1) Lorenzo Montanari of Property Rights Alliance (PRA), Washington DC, USA; (2) Barun Mitra of Liberty Institute, India; (3) Kriengsak Chareonwongsak of the Institute of Future Studies for Development, Thailand; and (4) Julian Morris of Reason Foundation, USA. 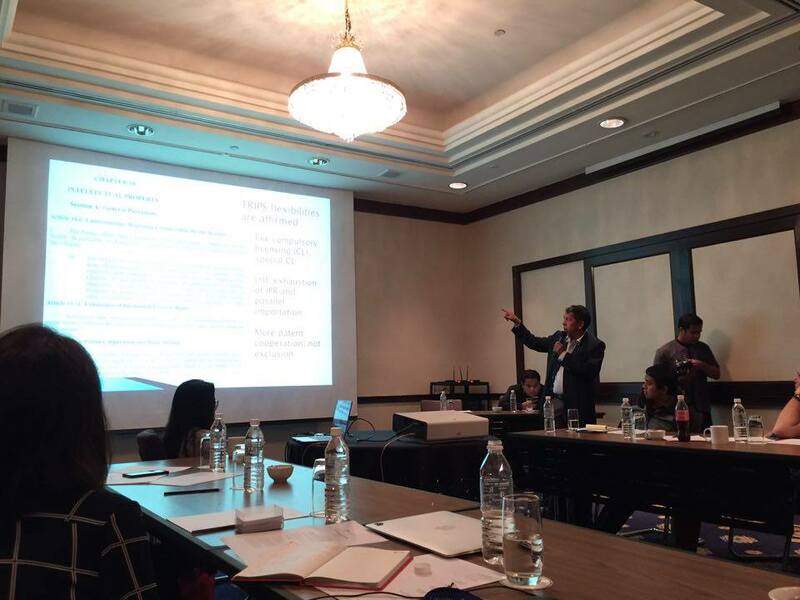 Lorenzo spoke about the International Property Rights Index (IPRI) annual reports, especially the latest, 2015 Report. Barun talked about fighting for property rights of poor rural workers and households in their tilled land in India. Julian talked about IPR, especially of trademarks and company branding. His paper title was witty, "Marks vs. Marx", the former refer to trademarks, the latter refer to IPR confiscation and stealing/socialization. Among the slides shown by Julian. An example of a medicine whose products and corporate brand/logo was copied and stolen to sell substandard or fake medicines, which can have serious or even fatal consequences to patients. 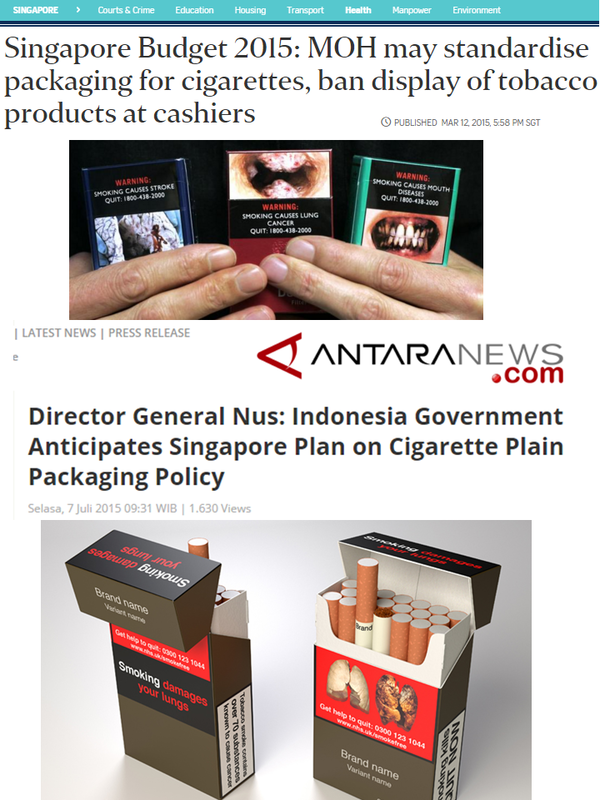 Plain packaging of cigarettes, the logo and brands of Winfield and Marlboro were removed, only their product name is displayed. 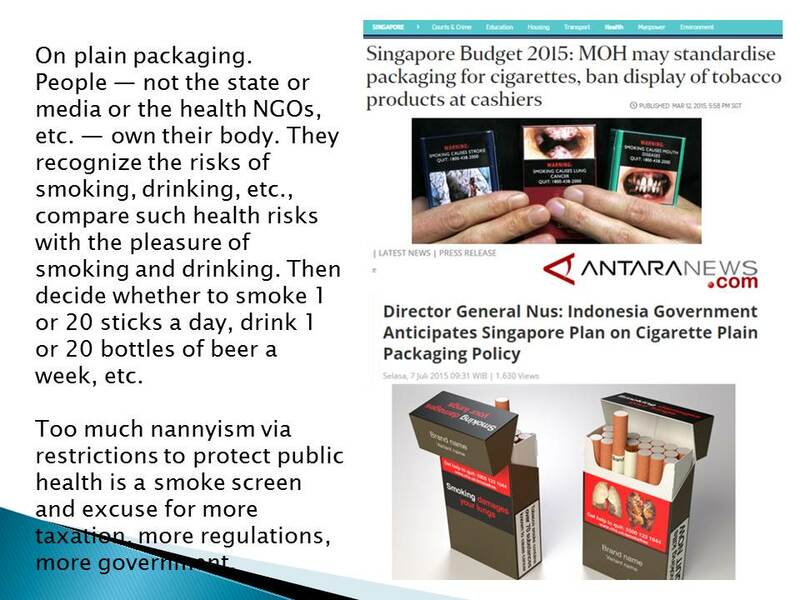 Further below, when plain packaging is applied on softdrinks/soda and beer. I don't smoke, never smoked my entire life, I derive zero pleasure in smoking, but I respect other people's decision to smoke. It's their life, their body, they can do whatever they want with their life so long as they do not harm other people, like puffing heavy smoke in an enclosed room with many non-smokers inside. I think people should not smoke, but if they decide to smoke because they derive some pleasure in smoking -- the same way that I derive pleasure in drinking with friends, frequently when I was still a bachelor, and seldom now with a family and 2 young girls -- then their freedom to choose which cigarette products or brands to take should not be curtailed by the government. After all, the government is a huge hypocrite institution that says "promote public health, discourage smoking and drinking" on the left hand, then happily and gleefully collects billions of pesos or dollars of "sin tax" revenues every year from more smokers on the right hand. 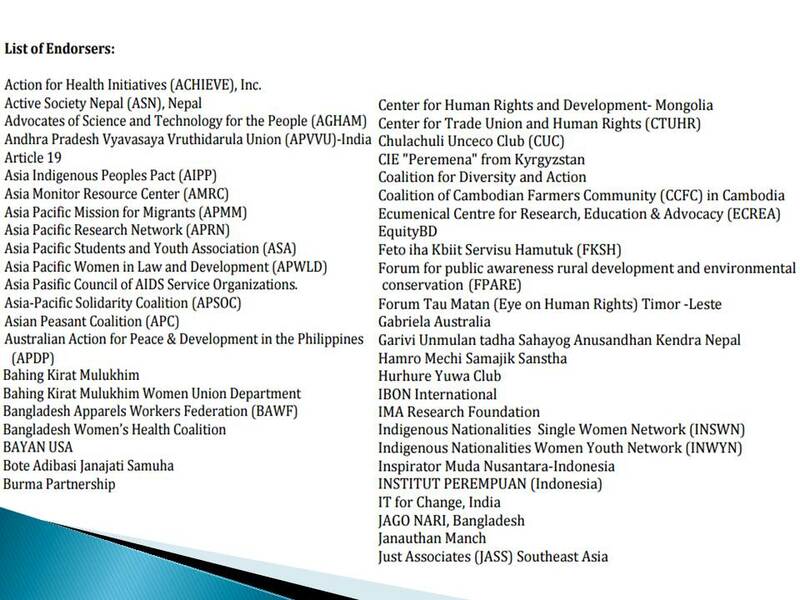 Meanwhile, I am thankful again to EFN Asia and FNF regional office for giving me a travel grant to attend the 4th ALF. Thanks Siggi, Pett, Jules. The classical liberal philosophy of more individual freedom and more personal/parental responsibility, free market and less government intervention and taxation is not a popular personal and political philosophy in Asia yet, at least compared to similar movements in the US and Europe. 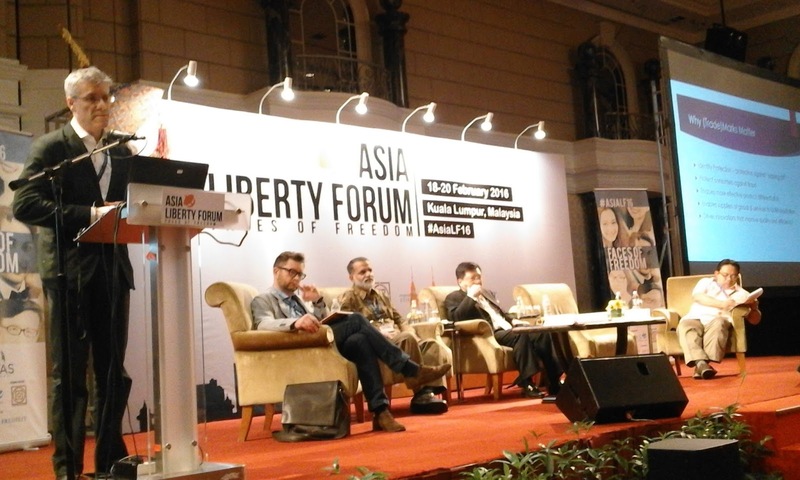 So annual events like the Economic Freedom Network (EFN) Asia conference, and now the Asia Liberty Forum (ALF), are very helpful in asserting the virtues of classical liberal, aka “libertarian” or “free market” philosophy. This concept is vastly different from other labels like “neo-liberal” and “US conservatism”. The three-day 4th ALF event is held here in Renaissance Hotel Kuala Lumpur, Malaysia. This is a huge international event from Feb. 18-20 with many participants from Asia, US, and Europe. 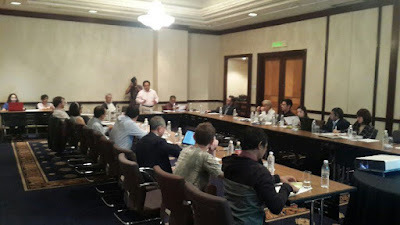 The main sponsors of this year’s conference are the Atlas Economic Research Foundation in Washington DC, the Center for Civil Society (CCS) in Delhi, India, and the Institute for Democracy and Economic Affairs (IDEAS) in Malaysia. Among the important panel discussions in the conference will be on “Protecting Yourself Against Daylight Robbery -- Current Challenges to Property Rights” on Day 3. 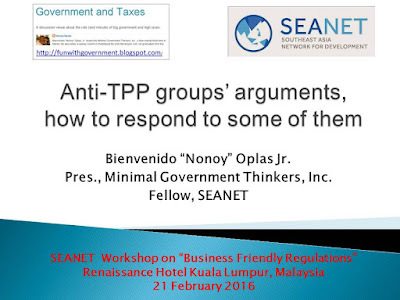 The session will be chaired by Wan Saiful Wan Jan, CEO of IDEAS Malaysia. 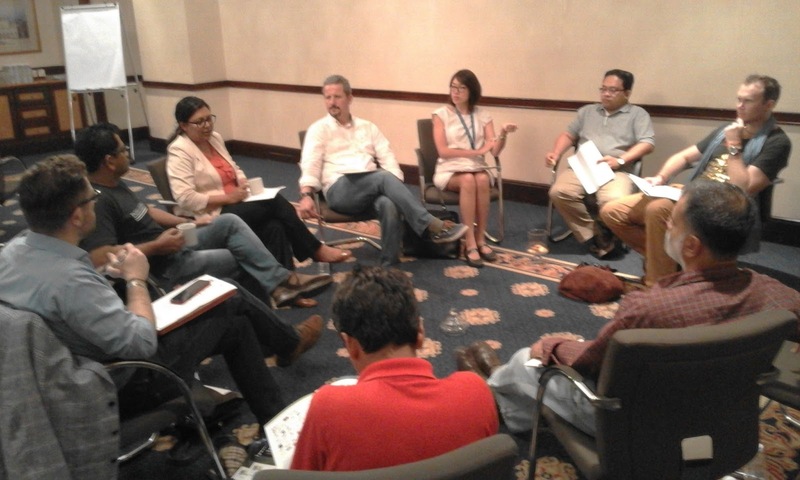 The speakers will be (1) Barun Mitra of Liberty Institute, India; (2) Kriengsak Chareonwongsak of the Institute of Future Studies for Development, Thailand; (3) Julian Morris of Reason Foundation, USA; and (4) Lorenzo Montanari of Property Rights Alliance (PRA), Washington DC, USA. The protection of private property rights is among the hallmarks of a free and dynamic society. If other people can say that “Your car is also mine; your house is also mine; your farm is also mine. I can enter and use them anytime I want,” then society can easily degenerate into chaos and disorder. No meaningful economic growth and social development can happen in this type of environment. The PRA has developed the annual International Property Rights Index (IPRI). The index is composite for a country’s performance in three areas: (a) legal and political environment, (b) physical property rights protection, and (c) intellectual property rights (IPR) protection. The scores range from 1 (poorest) to 10 (best). I made a short study about the performance of some ASEAN countries in terms of property rights protection covering eight years from 2008 to 2015. 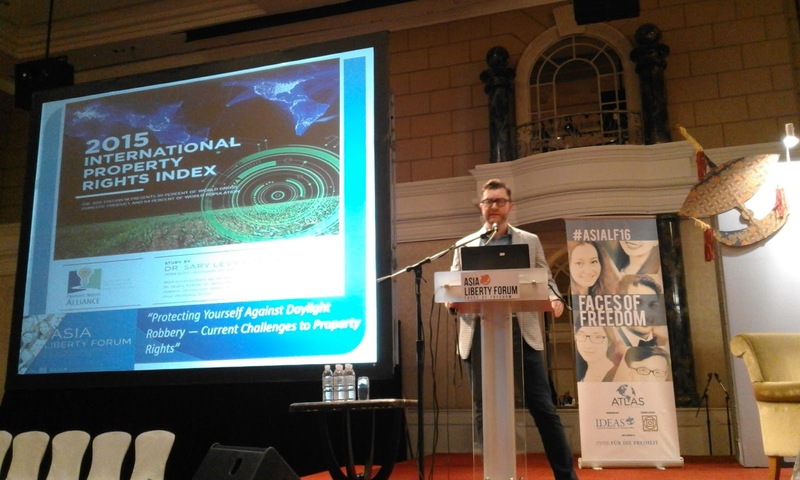 Singapore and Malaysia continue to have high scores overall in property rights protection. The Philippines made a modest improvement in its global ranking, from 87th in 2011 and 2012 (out of 130 countries), it jumped to 77th in 2013 and 65th out of 129 countries in 2015. If we observe the Philippines, the bulk of property rights protection -- in malls and shops, hotels and restaurants, banks and condos, schools and universities, airports and seaports, etc. -- is heavily privatized through the tens of thousands of private security agencies. It is not the police or army or barangay security personnel who guard and protect these businesses and residential, commercial areas, despite the huge and multiple taxes and fees that people pay to the government annually. And this is an indicator that governments often forget their main purpose, their raison d’etre, which is the protection of the people’s right to life (against bullies and murderers), right to private property (against thieves, vandals and destroyers of property) and right to self-expression (against dictators). To have a rule of law. When governments are busy giving away endless welfarism and subsidies, collecting endless taxes and fees, imposing endless regulations and restrictions, running banks, casinos, TV stations, and other businesses, there is a tendency to set aside its rule of law function and it is unfortunate. Government should be big enough in enforcing laws on private property and citizens protection, and it should be small enough in intervening too much in the people’s daily lives, hence requiring small and few taxes to sustain itself. Trademarks and brand logo are important to distinguish companies and producers from each other. A customer can say, "I don't want to ride airline X because they are frequently late/delayed, nor airline Y too because they are expensive, I prefer airline Z because their fares are cheap they mostly fly on time." That is branding from the perspective of customers. 1. Raise the tax, make it more expensive. 2. Restrict or prohibit advertising to certain events. 3. Mandate graphic warnings, like "Smoking kills" and show ugly pictures of dilapited lungs and mouth. 4. Actual product restrictions to certain consumers, like "for people above 21 years old" and so on. 5. Ultimately, plain packaging. Like all tobacco products, all beer and wine products, all chocolate bars, etc. to be labelled as plain "cigarettes" or "beer" or "red wine" or "chocolate". Of course smoking -- and drinking lots of alcohol, and taking lots of soda, ice cream, eating lots of fatty, salty, preserved food, sedentary lifestyle, etc. etc -- is bad for people's health. But people -- not the state or media or the health NGOs, etc. -- own their body. People recognize the risks of smoking, drinking, drugs, etc. and they compare such health risks with the pleasure of smoking and drinking. Then they decide whether to continue doing it or stop; if they continue, whether to smoke 1 or 20 sticks a day, drink 1 or 6 bottles of beer a day, etc. Too much nannyism by the state purportedly to "protect public health" is wrong, and is a clear smoke screen and excuse for more taxation, more regulations, prohibitions, more government. 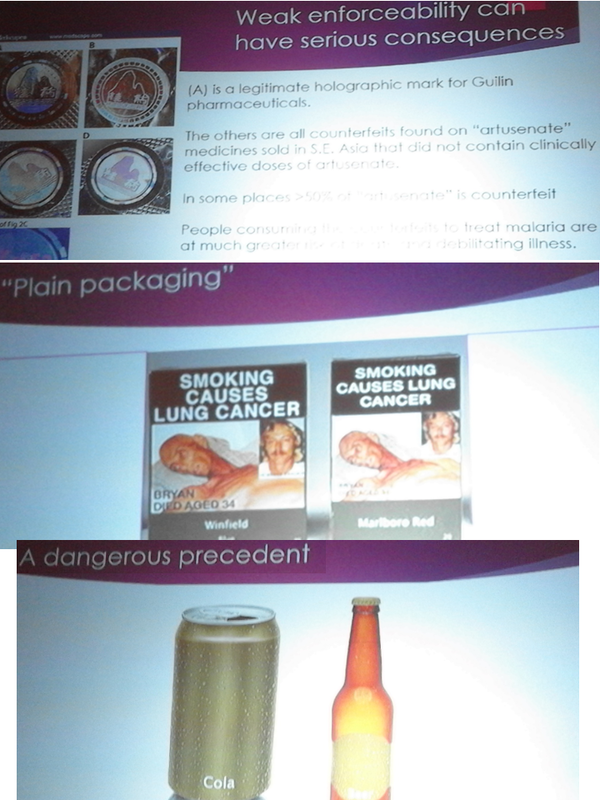 Plain packaging of tobacco, beer, whiskey, chocolates, etc. in the Philippines, I do not think this kind of legislation will prosper here. Mainly because legislators themselves are among the big fans of branded tobacco, beer, wine, etc. But it is an opportunity for big time extortion by health regulators and/or legislators. 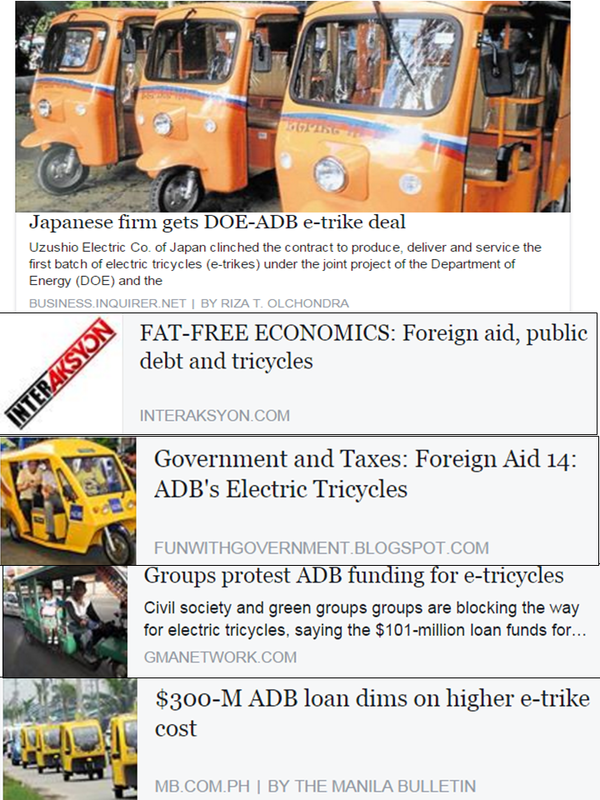 Update on the ADB-DOE more electric tricycles, more public debt racket. Why is it a racket? (1) 100,000 more tricycles, we need less tricycles, not more. (3) Opex daily electricity charging, via municipal/city hall charging stations, ultimately the taxpayers. (4) Political clientelism, cronyism and rent-seeking, we need less of it, not more. I read this story first time in August 2010. The original plan was a $280 M (P12.7 B) ADB loan, which later moved upwards to $300 M loan. With due respect to my friends who work at the ADB, but I think this is among those lousy, debt-pusher (no different from drug-pusher) attitude of the ADB in riding the climate alarmism movement. In 2014, the estimated price of each e-trike is P250,000. Wow ADB, being the debt-pusher of this program, you really want more money from us taxpayers to pay for this expensive and lousy program ha? If ADB would lend $300 M say for double-decker buses, or the train-like bus rapid transit (BRT), or electric buses, it would have been more justified. But more tricycles? 100,000 new tricycles? 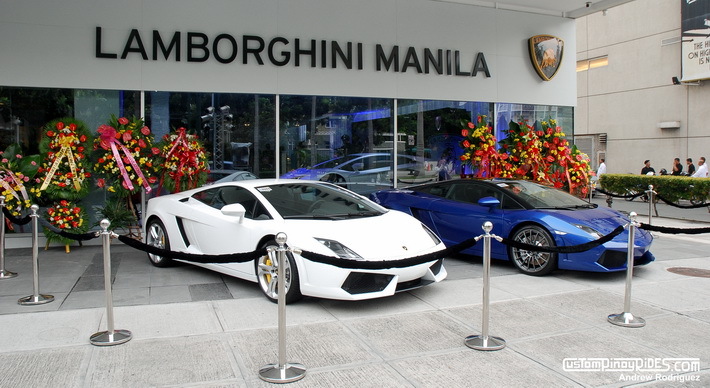 P250k each? daily electricity charging at taxpayers account? ADB naman, panloloko na yan. I hope that the next administration will cut and discontinue this lousy debt-pushing project by the ADB. * This is my article in BusinessWorld last February 16, 2016. Free trade is good and beautiful and the best example of it at the micro level is the tiangge-tiangge or market-market that one finds in Divisoria, Baclaran, Quiapo, and other low- to mid-end commercial centers in the Philippines. All consumers there search for a bargain, if they do not find it in seller A, they walk away and go to seller B, and seller C, until they find the right seller/s offering the right bargain, both in price and quality. This is the essence of free trade and free market. The freedom to sell or not sell, the freedom to buy or not buy. The freedom to innovate to attract more buyers, and the freedom to be complacent and mediocre and suffer the consequences as buyers do not come back. At the national level, even protectionist governments realize the value of free trade, they just cannot hasten the pace of liberalization because they have the vested interests to regulate endlessly and collect as much trade tax revenues as possible. 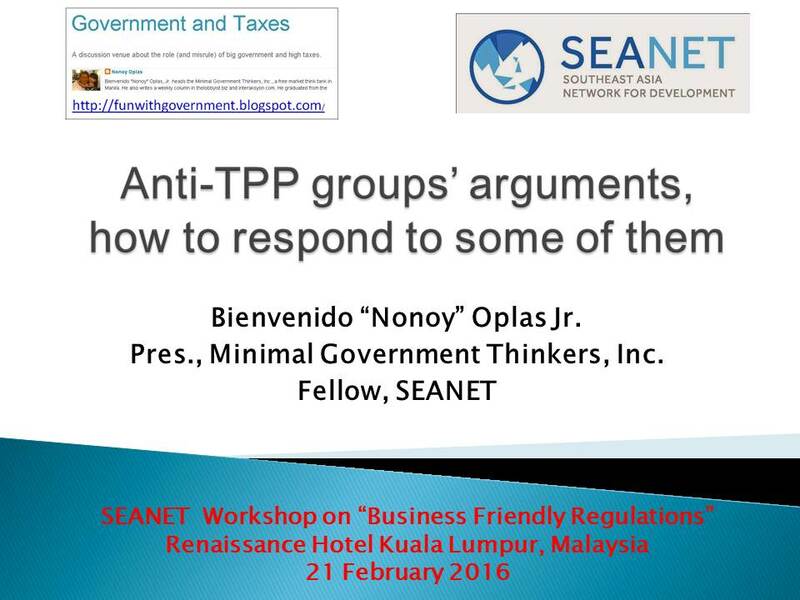 So one compromise is via bilateral and regional free trade agreements (FTAs) between and among countries. An example is the ASEAN Economic Community (AEC, 10 countries) that materialized since January this year. 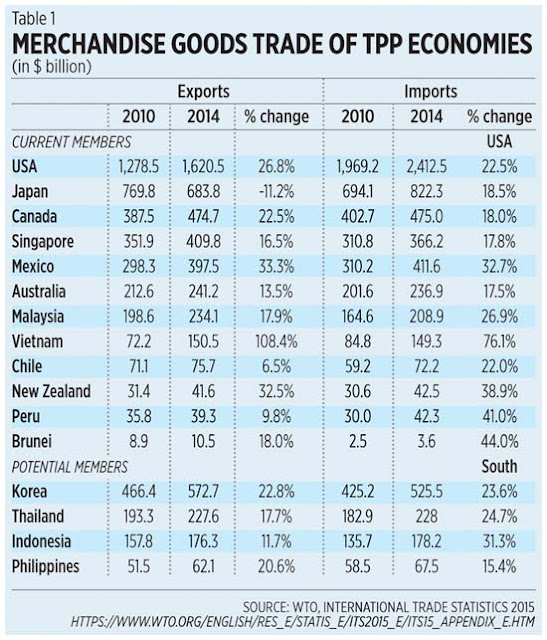 Aside from AEC, there are bigger FTAs considered as “mega” trade deals. These include the Regional Comprehensive Economic Partnership (RCEP, ASEAN 10 + 6), Trans Pacific Partnership (TPP, 12 countries), and the Transatlantic Trade and Investment Partnership (TTIP, US + EU). 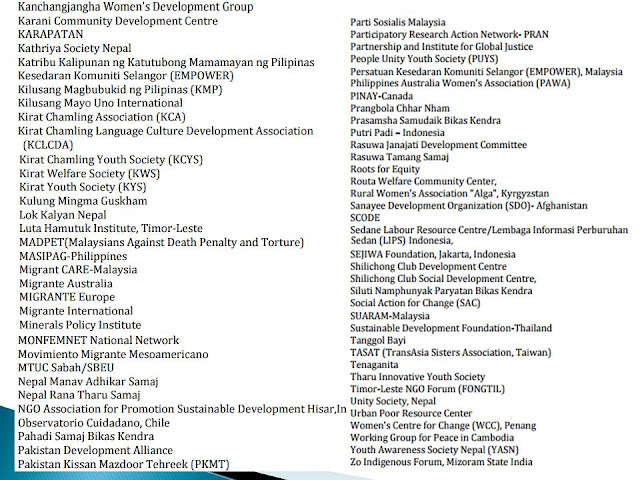 These mega trade deals will be tackled in one session of the forthcoming 4th Asia Liberty Forum that will be held at the Renaissance Hotel in Kuala Lumpur, Malaysia this coming Feb. 18-20, 2016, which I will be attending, thanks to the assistance of Economic Freedom Network Asia. The session on “TPP, TTIP, RCEP, AEC & Other Trade Deals: Are they really good for developing countries?” will be on Day 2, to be chaired by Julian Morris, Vice-President of Reason Foundation, USA. The speakers will be (1) Dr. Razeen Sally, Institute for Democracy and Economic Affairs Chair in Political Economy and Prof. at the National University of Singapore, (2) Sethaput Suthiwart-Narueput, Thailand Future Foundation, and (3) Vivek Dehejia, IDFC Institute, India. Now that the TPP Agreement (TPPA) has been signed by all the 12 member-countries, the next step is for a ratification by each country’s legislature or parliament so that the Agreement will be implemented. Other Asian countries, three of them from the ASEAN, have expressed their desire to join the TPP in a next round of membership expansion. Here are some trade data about TPP current and aspiring members. There are two major benefits of joining the TPPA. One, it will reduce the cost of foreign trade, exports and imports, as tariff on both sides are cut or abolished. Two, for countries with huge state-owned enterprises, it will improve government procurement transparency and accountability. Reduction in service barriers and stronger respect of intellectual property rights, enforceable labor, and environmental standards will contribute to improved corporate competitiveness. 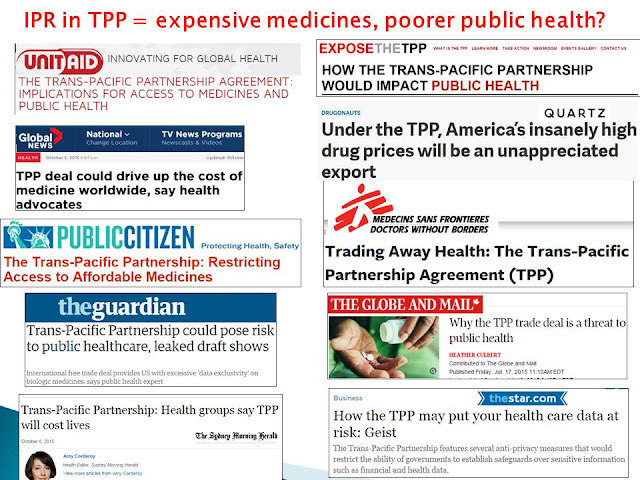 And there is one big disadvantage of being outside the TPP. A country will suffer some reduction in exports as TPP members will buy more from each other as they have zero or near-zero tariff for each other, while the old tariff and non-tariff barriers will remain for the non-TPP members. 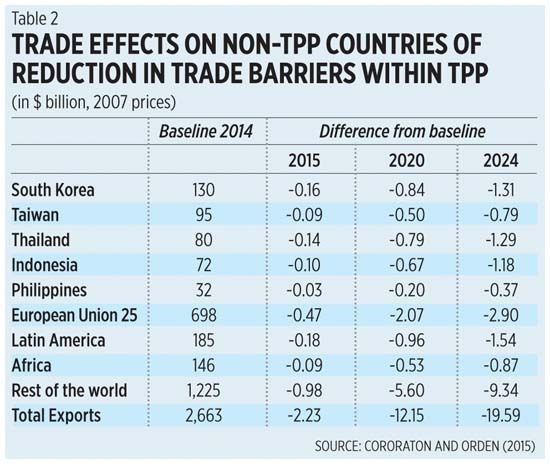 This was computed by Caesar B. Cororaton and David Orden in a paper entitled “Potential Economic Effects on the Philippines of the Trans-Pacific Partnership (TPP)” (revised February 2015). The best trade policy is unilateral trade liberalization. No need for prolonged, costly and bureaucratic negotiations that takes years or decades. Just open up the border to foreign goods and allow local consumers and producers lots of choices where and what to buy at low, tariff-free prices. Hong Kong, Singapore, Dubai, Chile, other countries have done this. The second best policy should have been a multilateral, global trade liberalization, but this is not happening as shown in World Trade Organization (WTO) negotiations. So the real second best policy is via trade blocs like the TPP. From local bus and taxi companies that import their vehicles, to farmers and fishermen who need more farm tractors and fishing boat engines, to students who want cheaper shoes and mobile phones, people benefit from more choices, lower prices under a free trade policy. 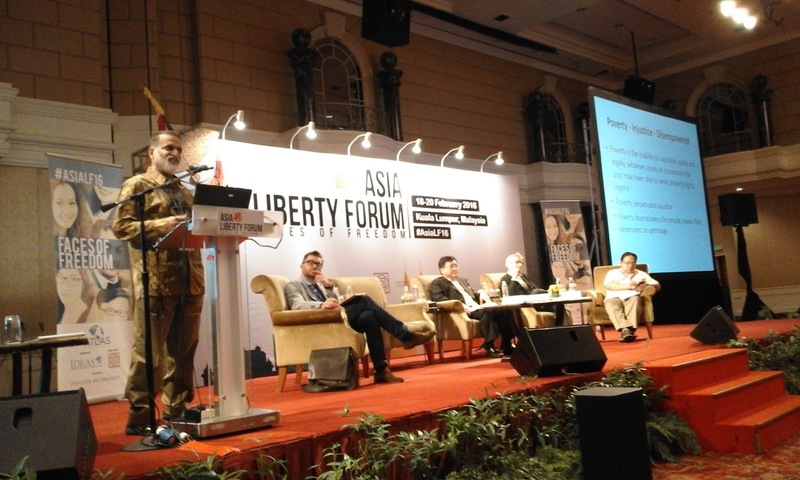 The 4th Asia Liberty Forum (ALF) started last night here at the Renaissance Hotel Kuala Lumpur, with an opening dinner, keynote speech given by Tom Palmer of Atlas. 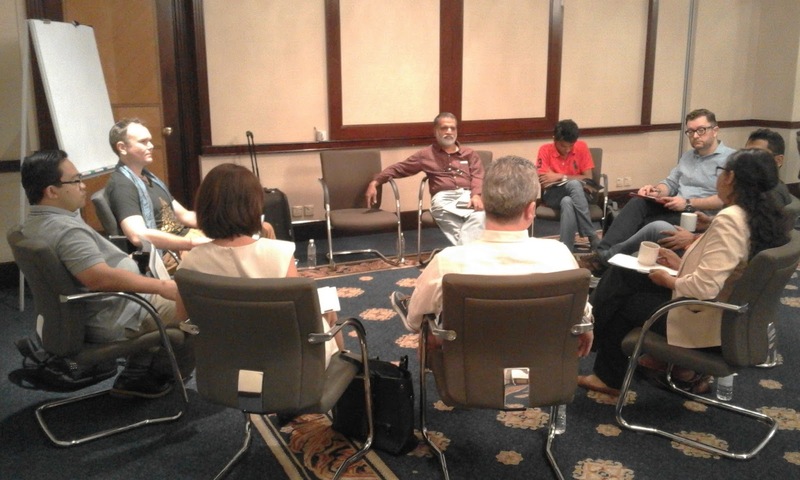 Earlier, the Property Rights Alliance (PRA) headed by Lorenzo Montanari held a short meeting for its Asian partners. Lorenzo discussed what the International Property Rights Index (IPRI) is all about, its contents and ranking of countries, the value of property rights protection, etc. From left: Arpita Nepal of Samriddhi, Nepal; Wan Saiful Wan Jan of IDEAS, Malaysia; Bican Sahin of Freedom Research Association, Turkey; me; Tricia Yeoh of IDEAS, Malaysia; Lorenzo; Barun Mitra of Liberty Institute, India; Baladevan Rangaraju of India Institute, Dhananath Fernando of Advocata, Sri Lanka; and John Humphreys of PRIME, Cambodia. See my article today in BusinessWorld, "Asia Liberty Forum and property rights". * This is my article in BusinessWorld last February 11, 2016. When the Electric Power Industry Reform Act of 2001 (EPIRA, RA 9136) was enacted, among the provisions is the creation of an independent market operator (IMO) to manage the Wholesale Electricity Spot Market (WESM). WESM was created in June 2006. This means that an IMO should have been in place by June 2007 or nearly nine years ago, but this did not happen. 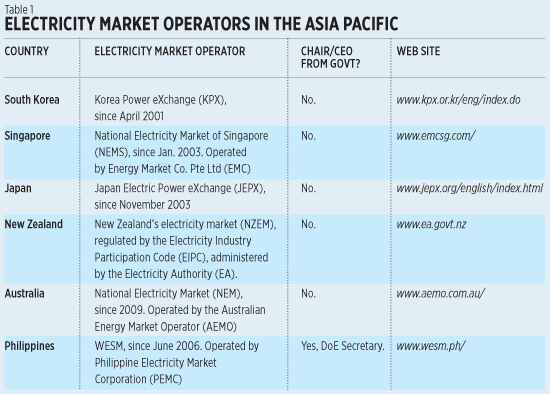 What happened instead was a temporary entity, the Philippine Electricity Market Corporation (PEMC), has become sort of a permanent entity with lots of implicit unwillingness to relinquish its position and privileges. And the DoE Secretary still holds the chairmanship and makes the final decision on many aspects of the body, including who should sit in the board and who cannot. This insistence by the DoE for this continued non-independent set up in managing WESM has several complications. Aside from DoE as overall regulator in the energy sector, there are other regulators and permits-seeking agencies: (a) Energy Regulatory Commission (ERC) for tariff rates, (b) SEC for corporate matters, (c) DENR for environmental permits, (d) BIR for national taxes and royalties, (e) LGUs for local taxes and permits, and so on. Two, the ERC has the final say whether generator companies’ long-term pricing via bilateral contracts or spot-pricing via WESM, is “foul” or not. There is no or little need for the DoE to oversee the management of spot pricing. Three, PEMC does not consider itself a government-owned and controlled corporation (GOCC), but the Governance Commission for GOCCs has identified PEMC as a GOCC. This quickly dispels the notion that PEMC is an independent entity, but rather a state-dependent entity mainly because it is headed by the DoE. Plus two other GOCCs are in the board, the Power Sector Assets and Liabilities Management and the National Power Corp.
Four, the Commission on Audit should now be the main auditor of PEMC, not private auditors like SGV. A good example of (a) independent of government and (b) independent of stakeholders and players is the EMC of Singapore. The Board is composed of seven prominent individuals, none of whom are from government nor it seems from any energy players (generation, transmission, distribution). The main advantage here is that the Board can judge independently but the disadvantage is that they may need a long or steep learning curve and their judgment may be affected by such lack of experience. He showed one table comparing eight different operators, four independent system operators (ISO) and four independent market operators (IMO), and see (a) if they are independent of stakeholders, (b) if for profit, (c) rule change process, and (d) fees collection. Two things are questionable here. One, when we talk of “independent” entity, the first thing that comes to mind is that the agency is functioning independent of the government, not of stakeholders. For instance, the Philippine Stock Exchange is independent of government and the Board is composed of major players and stakeholders. But Mr. MacDonald and team defined it the other way, “independent” of stakeholders even if the government rules it. I raised this during the open forum. Two, it may not help to mix up the ISO with IMO in making this kind of analysis. In the Philippines, the ISO is the National Grid Corporation of the Philippines, it operates the transmission lines and assets owned by the government-owned National Transmission Corporation. The supposedly IMO is currently an Autonomous Group Market Operator represented by PEMC. The above table is composed of IMOs only, no ISOs. The DoE has uploaded online last Jan. 29, 2016, an ADB-funded research entitled Subproject: Support for the Establishment of An Independent Market Operator, PHI, published in January 2012. It was prepared by Alastair Macdonald, et al. I just realized that what he presented in December 2015 was almost exactly what they prepared for the ADB paper in January 2012. And this is where the DoE should train its hands on: multiple taxes, fees, and royalties on energy products; and multiple bureaucracies and permits required from companies that want to put up more power plants and hence, expand the degree of competition among more power plants and power companies. 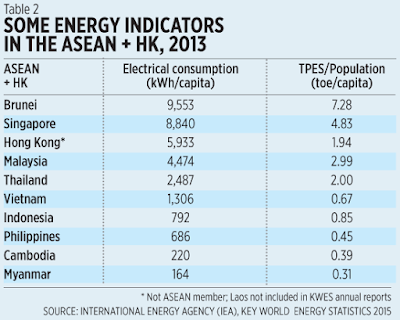 The Philippines continues to experience “energy poverty” compared to many of its neighbors in the region. Continued dilly-dallying in implementing a real IMO in the Philippines should be among the contributors why there is low power capacity compared to many of our neighbors in the region. Moreover, it is additional proof that there is too much intervention by different government agencies in the energy sector; interventions that can discourage the entry of more players, or cut the output of current players because of uncertainties in several aspects of the electricity market. Bienvenido S. Oplas, Jr. is the President of Minimal Government Thinkers (MGT), a Fellow of South East Asia Network for Development (SEANET), and Stratbase-Albert del Rosario Institute (ADRi). minimalgovernment@gmail.com. A friend commented on my critique of the Oxfam paper and said that it is not only Oxfam that questions rising inequality, there are also some reference to the Credit Suisse report, the last Davos conference saying that inequality as "deepening", and Piketty says the same thing. My main issue here is against bad math. The numerator, world's top billionaires (numbers from Forbes) is cumulative wealth of the top 80, or top 100, etc. rich individuals, accumulated after 4, 5, 7 decades. But denominator is wealth of a country for 1 year. Numerator will be bloated while denominator is relatively understated, that is why people get quotients like 40% or 60% of GDP, etc. [wealth of top 10 (or top 80, or top 100, etc.) accumulated over 40 years] / [national wealth (or GDP size) accumulated over 40 years]. That is why the numerator is bloated, the denominator is controlled. Lousy math. Here's an analogy. People take the cumulative wealth of the CEO of a company with 200 employees, the value of his houses, cars, investments, other properties, things that he acquired over the past 40 years as an ordinary employee, then a junior officer until he became a CEO of that same company. That's the numerator, it's big because it's accumulated wealth over 40 years. Then people get that company's gross sales for one year. This method of bloated numerator over denominator = "scandalous inequality" is simply lousy math. 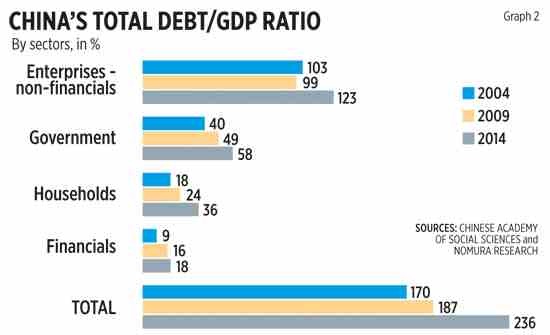 The gross debt/GDP ratio can be comparable because a responsible government would aspire to pay back or retire some debts in period of no economic and financial turmoil or crisis, so the ratio should flatline or even decline after sometime. But most or majority of governments are outright irresponsible, spend-spend-spend, borrow-tax-borrow is their endless motto, thus the ratio keeps rising. See photo 1 below. 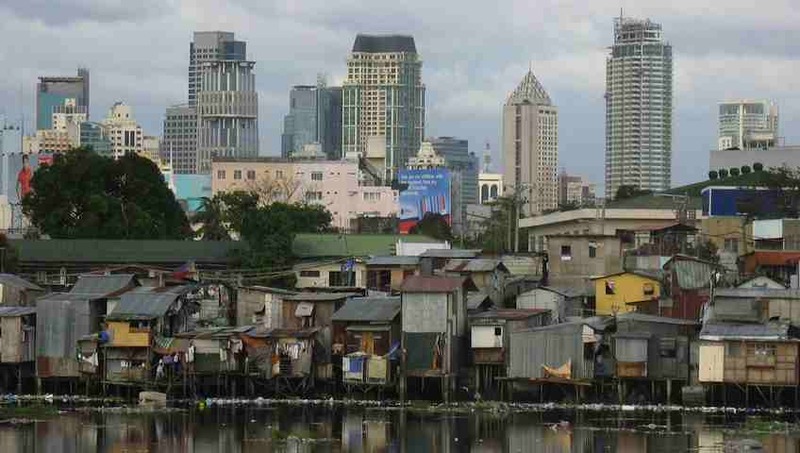 Many people say having those tall and flashy skyscrapers in Makati is scandalous or even criminal because there are so many squatters left behind. Are they correct in saying this? 1. In the first place, there should be no squatters in this part of the river, Pasig river. That area should have no structures because that is a river bank, prone to flooding and the people living on those structures contribute to more solid wastes directly dumped to the river. 2. Assuming that all laws (on private property, public property, environmental protection, etc.) are waived and the squatters are justified to live in that river bank. Those structures will greatly improve as the residents there have property rights to the area, there is no threat of being demolished, so they will aspire to build more stable structures. See photo 2 below. Some people say that society should demonize this, that government should tax ostentatious goods 500%, 2,000% or more as an "equating factor". Are they correct in saying this? No. That is another politics of envy, the thinking that no one in this country should drive a lambo, a ferrari, etc. because there are "so many" poor people. Better if everyone is riding a motorcycle or tricycle, there will be equality? Equally poor? In a country of 102 M people, only a few dozen of Lambo and Ferrari? There should be hundreds. There should be more rich and super rich people here. A position in government is often a trap. Rational people become irrational, easily infected by a welfarist, populist, and even socialist thinking. Inequality is wrong so there should be forced equality. Pull down the rich and efficient and subsidize the lazy or irresponsible. Like people who do not want to work, or they work 6 days a week but also drink and party 6 nights a week and have zero savings. "Trickle down" philosophy is actually from a statist or "worship the state" philosophy. The biggest entity in society is the state and its national and local agencies and bureaucracies. From the state, subsidies and welfare and the moon and the stars will trickle down to the masses. A friend commented that "To improve I believe we all need to be Smart. Being able to get by with just a "job" is not enough. People don't realize that in a few years computers will replace us. I struggle to figure out which job a computer won't do better in the future." Right, and many jobs that are done by less skilled workers -- laundry, street sweeping, kitchen dish washing, rice planting and harvesting, cashiers in MRT stations, etc. -- will be done by machines. And many anti-rich, anti-capitalism, anti-globalization, anti-many things will cry out loud in the streets to further raise the government-dictated minimum wage. And this will result in an unintended consequent of more unskilled people who will no longer be hired because the mandatory wages + mandatory social contributions have become higher while those skills are replaceable by machines.